Telegram CEO Pavel Durov took to the encrypted messaging app today to explain why certain Telegram features aren’t working as expected on iOS 11.4, Apple’s most recent mobile OS update. In short, Durov says it’s Apple’s fault. According to Durov, the issues with Telegram are already resolved within the app, but Apple itself has been restricting updates to Telegram since April, according to Durov, when Russian officials called for a ban on the app in the country. 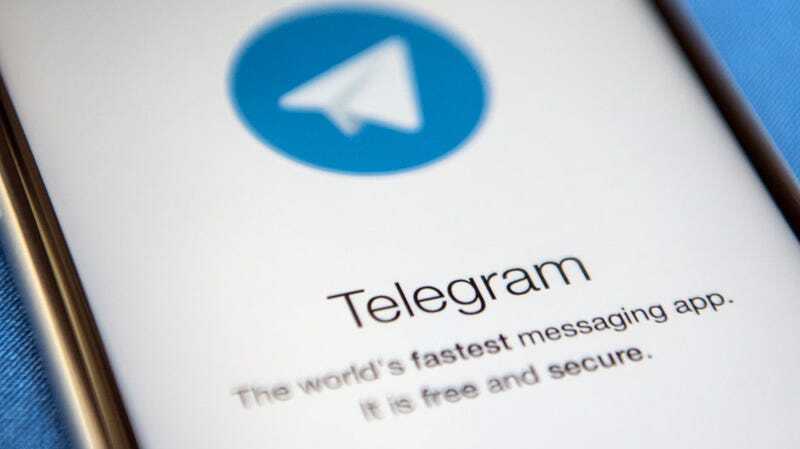 Last month, Russian organization Roskomnadzor (Russia’s Federal Service for Supervision of Communications, Information Technology and Mass Media) was granted approval by the Moscow Tagansky District Court to ban the use of Telegram in the country after the company refused to hand over encryption keys it claims it does not have. The organization is tasked with enforcing Russia’s recently adopted series of amendments requiring online services to store communication records, metadata, and encryption keys for reading securely transmitted messages. After Durov announced his plan to provide a workaround to Russia’s ban on Telegram, the government’s ISPs proceeded to block a few million IP addresses belonging to Amazon and Google, disrupting services around the country but doing little to prevent Telegram from working as expected. Russia has since asked Apple to remove Telegram from its App Store altogether. While Apple hasn’t provided a reason behind the lack of Telegram updates, Durov also notes that the delay makes it difficult to provide its users in the European Union with an app that fully complies with the EU’s sweeping new privacy law, the General Data Protection Regulation, or GDPR. Telegram’s most recent Apple App Store update occurred on March 24, over two months ago. Meanwhile, Telegram’s most recent update in the Google Play Store occurred May 26. Gizmodo has reached out to Apple for more information and we’ll update when we hear back. California&apos;s New Digital License Plates Give You the Chance to Finally Be the "ASSMAN"